It's Friday, Friday!! And it is the weekend before Valentine's! What do you all have planned? The hubs and I prefer a low key Valentine's day. There is nothing better than making a meal together! Last year our menu consisted of a chopped salad, filet mignon with herb and cheese potatoes and Ghirardelli chocolate lava cakes for dessert. Here are a few of our options for this year. 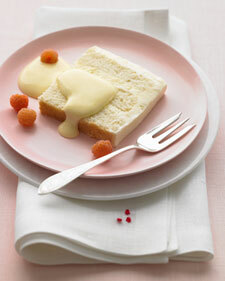 And to top the meal off, White Cake with Champagne Sabayon! Do you know every time I come here I leave craving a meal? 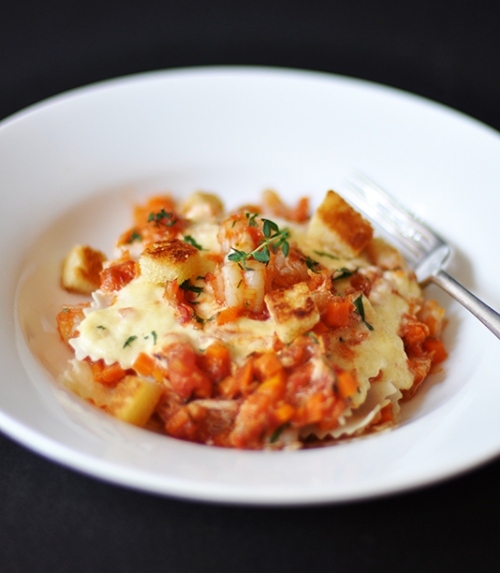 Prawn lasagna, are you kidding me? Yum! Everything looks heavenly....we will going out to one of our favorite restaurants with another couple who is one of our best friends as we do every year. We are the same way we usually cook at home! 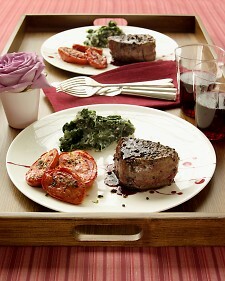 Last year we did Lobster Tails but a filet was sounding good this year til I saw your recipes. The scallops and lasagna look awesome as does that cake. Anything with champagne in it must be good! I could definitely just eat the amazing dessert, but I'll add the pan-seared scallops with it...looks fabulous!! ohhh herb + cheese potatoes sounds yummy! not sure what I'm making for dinner but for dessert there will definitely be red velvet cupcakes! We usually eat at home too, so fun to get dressed out and make something so yummy! That lasagna looks AMAZING! Everything looks delicious! 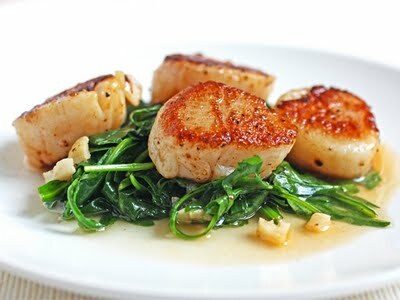 But I would have to go with the scallops too!